Yes, it does. And we're not just talking about that warm fuzzy feeling inside. Maths indicates that it pays in evolutionary terms too. Find out in these Plus articles. 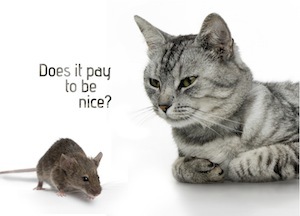 If you would like to get away from your computer or smart phone, then you can also download our 'Does it pay to be nice?' ebook.